Whether you have just purchased a property at auction, you have had a tenant do a moonlight flit, or a relative has just died, we are here to help. if you are in need of a house clearance in Sydney, then this is just one of our many professional junk removal services that we provide across Sydney. 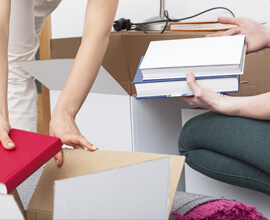 We provide house clearance services in Sydney, and all over Sydney, taking the big job off your hands. We not only clear all junk and rubbish from the property, we also remove and dispose of furniture, strip-out carpets, strip-out kitchens, and can even clear the garden and shed too. No matter how messy or daunting the house clearance job looks to you, we deal with this sort of thing on a near-on daily basis, and have the knowledge and expertise to get the job done efficiently, leaving you with the empty space you need. Because of our wealth of experience in house clearance, we are able to carry out this job effortlessly, and safely, being mindful of power supplies and any other risk factors. We also have the experience and the man power to carry out this job at speed, and so it will be done for you when we say it will be done. After clearing out the property, we will load up our specialist vehicles with the rubbish and remove it all completely from your premises. We will then dispose of it under the correct district regulations for waste disposal. Whether you are a company, a commercial outfit, or a homeowner, be sure to get in touch with us for all your Sydney house clearance needs. Get in touch with us by phone or email, and our friendly customer service staff will be able to advise you on a price and a time that is suitable for us to clear your Sydney property. We always aim to work within the customers specified deadlines, and hold customer satisfaction as paramount, so please just get in touch.